In the end, the Republican-led board landed on a compromise: Students will be taught about "the central role of the expansion of slavery in causing sectionalism, disagreements over states' rights and the Civil War." At a public hearing on Tuesday, Shifa Bhatti, a Pakistani-American teacher in the Fort Worth suburbs, warned about the potential for anti-Muslim bias. "I teach middle school because when I was in eighth grade on 9/11/2001, that was the day I received my first death threat. It was in my locker. It was shoved in there. My teachers did nothing." About 1 in 10 American public school students lives in Texas. The state Board of Education has said these changes will not affect the textbooks used in Texas classrooms. The standards go into effect at the middle and high school level in August 2019, and at the elementary level in August 2020. About 1 in 10 American public school students lives in Texas. And yesterday, the Texas Board of Education voted to change the way those students learn about the Civil War. They will soon be taught that slavery played a, quote, "central role" in the war. Camille Phillips of Texas Public Radio has that story. 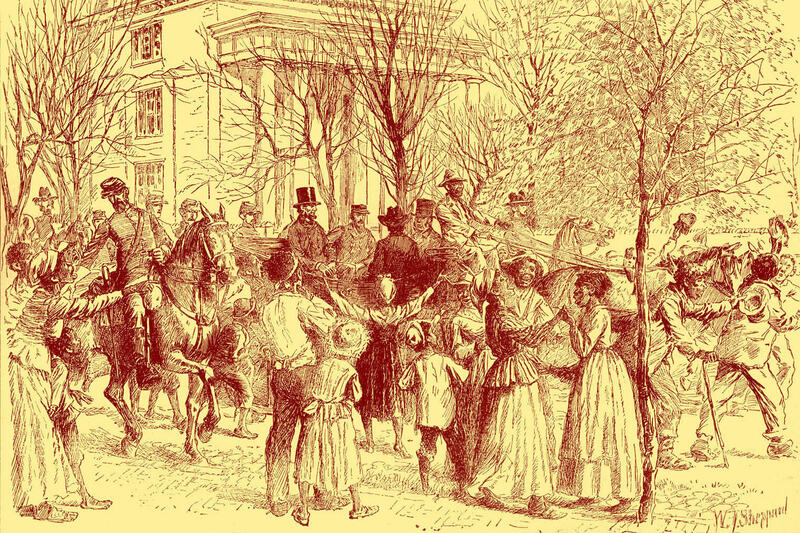 CAMILLE PHILLIPS, BYLINE: Previously, Texas social studies standards listed three causes of the Civil War - sectionalism, states' rights and slavery, in that order. Democrats on the board originally wanted to list slavery as the only cause. Marisa Perez-Diaz represents San Antonio. MARISA PEREZ-DIAZ: We've heard from different subject-matter experts who have basically told us that what the use of states' rights is doing is essentially blanketing or skirting the real foundational issue, which is slavery. We need to just say that. PHILLIPS: David Bradley is a Republican from Beaumont. DAVID BRADLEY: Each state had differences and made individual decisions as to whether or not to join into the conflict. Correct? I mean, that's the definition of states' rights. PHILLIPS: In the end, the Republican-led board landed on a compromise. 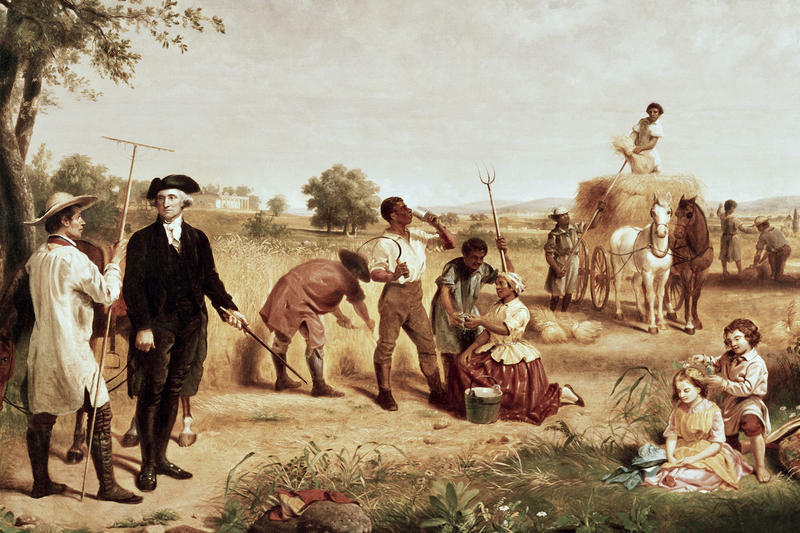 Going forward, students will learn that the expansion of slavery played a, quote, "central role" in causing sectionalism, disagreements over states' rights in the Civil War. Houston Democrat Lawrence Allen Jr. is the only African-American board member. He helped write the new language. LAWRENCE ALLEN JR.: I think it's an excellent start. PHILLIPS: He believes it draws a straighter line between slavery and the Civil War than the previous standards did. ALLEN: I don't think we really have that as a consensus in our state. And so if we drive it to a consensus in our state, we'll just let our students look at it from all points of view. ALLEN: The board also decided to keep Hillary Clinton and Helen Keller in the curriculum, reversing a decision that made headlines in September. However, the standard still lists only one cause for the Israeli-Palestinian conflict - the, quote, "rejection of the existence of the state of Israel" by Arab nations. Historians say that one-sided framing is an oversimplification. Shifa Bhatti is a Pakistani-American teacher in the Fort Worth suburbs. At a public hearing this week, she warned the board about the potential for anti-Muslim bias and shared her experience as an eighth grader on 9/11. SHIFA BHATTI: That was the day that I received my first death threat in my locker. It was shoved in there. My teachers did nothing. PHILLIPS: Lawrence Paska is executive director of the National Council for the Social Studies. He says what students learn in school has a big impact on how they understand history and current events. LAWRENCE PASKA: And be able to not just listen carefully and respond thoughtfully to each other's ideas, but that they're exposed to sources of information that may include conflicting perspectives on controversial issues. PHILLIPS: The new Texas social studies standards will start to be implemented in August 2019. For NPR News, I'm Camille Phillips in San Antonio. Transcript provided by NPR, Copyright NPR.